Happy Monday, lovelies! Today I want to introduce you to my new friend Jen from Boone + Owl. She's a kindred spirit for sure and you should go check out her fun blog! She loves Anthropologie, Chipotle, and Jesus, too, so if those are your jams you're gonna love her! 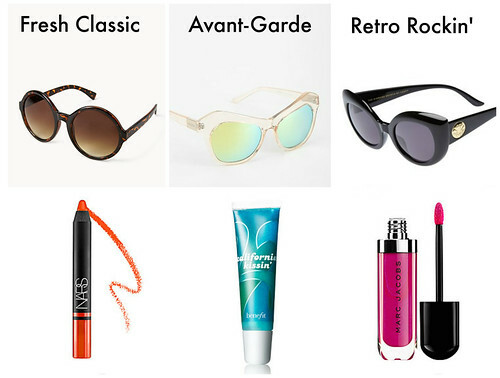 You can find my post featuring my favorites sunglasses & lipstick pairings for the summer, over on her blog today! Happiest of Mondays! 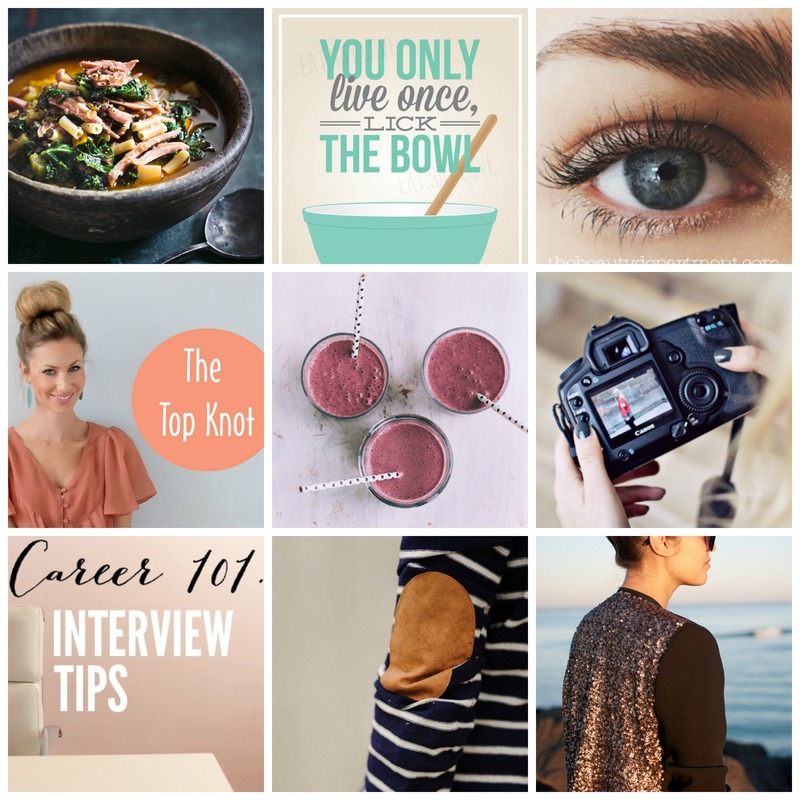 I'm Jen and I blog over at Boone + Owl where I share fashion, beauty tips, recipes, a DIY or two, and a dash of all the other happy things in life! Every weekend I share nine of my favorite pins from my countless hours on Pinterest. Do you ever sit down to pin just a few things and then find yourself still pinning three hours later? Story of my life. Sigh. Anywho, I thought I would share a few of my recent Pinterest Favorites with all of you! I noticed something. There are always at least two favorites that are recipes in every Pinterest Favorites post. Look, I like to eat. Food is delicious! My favorite quote this week also has to do with food. I should really balance this out with a workout pin. Hey, there's always next time. All right, moving on to this week's favorites..
Ham Lentil and Kale Soup. I love food. I particularly love food that is yummy and fresh! I've made kale soups in the past, but none quite like this one. The flavor paring sounds way too delectable! "You Only Live Once, Lick The Bowl". Yes. This is my quote for the week, and just YES. Food is delicious. Cake batter is even better. Lick the bowl. This is my ode to yolo. Don't ever tell anyone I said yolo. Lash Curling Extreme. I'm sure you've heard of heating your eyelash curler with a blow dryer to get a better curl. Well, I found this and gave it a try. I'm just going to be honest and tell you that I 100% burnt myself the first time. I was really gung-ho about it and didn't check the curler to see how hot it was. The heated curler actually works very well and it is absolutely worth trying. Just make sure you check how hot it is first like the tutorial suggests! How To Top Knot. Do you still struggle with the top knot? I do. At least when it comes to doing a top knot with straight hair. I can do it with curly hair no problem. If you have any issue with a straight hair top knot, this tutorial is nice and helpful! Simple Breakfast Smoothie. I don't know about the breakfast part. I'm more of an afternoon smoothie kind of person. There's healthy + yumminess in this smoothie so it doesn't count against your calories.. right? I mean it's spinach. And bananas. And an orange. Blueberries.. Raspberries. Yeah, that does't count! 9 Fashion Blog Photography Tips. This is such a helpful post! Yara shares some great tips. If you want to improve your photography skills this post is worth a read! Career 101: Interviewing. This post was put together by Emily from Cupcakes and Cashmere. She shares 8 tips and I thought they were quite helpful. Stripes + Elbow Patch. I really really love elbow patches. I still don't have a single top with elbow patches. It's not okay. Do you know any shops that have some cute options to choose from? Let me know in the comments if you do! This pin is here because it's so cute. That's really it! DIY Sequin Blazer. Blazers are fantastic. Sequin is sparkly and that's a very good thing. This combination is so fun! It's pretty easy to do and would add a spectacular pop to an old blazer that needs revamping. All right, that's all she wrote! I hope this brought you some pinspiration! What's your yolo stance on cake batter bowl licking? Go give Jen some love ya'll, and don't forget I've got my favorite pairings of sunglasses & lipsticks on her blog today! Come take a peek here!